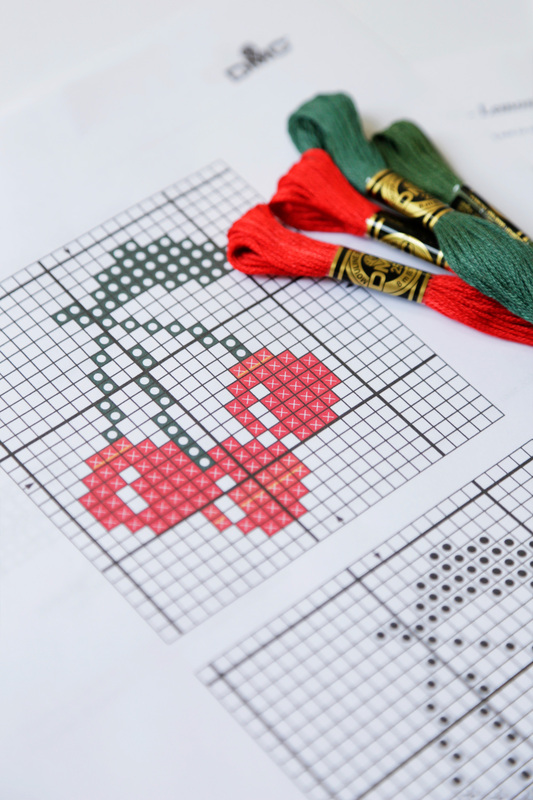 You will need some basic tools to get started on your tapestry/needlepoint project. You can use a variety of threads for your tapestry/needlepoint projects ranging from cotton, wool, rayon and silk. DMC offers beautiful tapestry/needlepoint threads from lustrous Pearl Cottons to soft Tapestry Wools. All DMC threads are made from the best quality materials and 100% colourfast and fade resistant. DMC Tapestry Wool is a soft smooth non-divisible 100% wool yarn. This type of yarn is normally worked on larger mesh canvas sizes 10 to 14. Tapestry Wools gentle twist and thickness provide excellent canvas coverage with a smooth, even texture. It is best to work with lengths of yarn no longer than 45 - 50 cm- (18-20 inches) to prevent fraying and wearing down of the yarn while stitching. DMC Tapestry Wool is available in a beautiful colourfast palette of 390 colours. Tapestry Wool also provides three of the most popular background colours available in a larger 40m (43 yard) hank for your convenience. DMC Soft Cotton is a non divisible thread with a soft, matt finish. It’s perfect for children to use as they will find it easy to cross stitch or sew with. 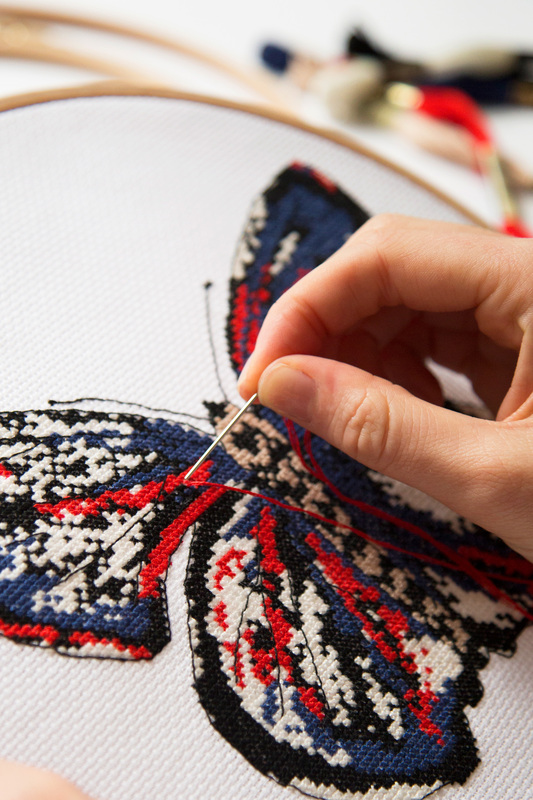 The thread will also give good results on tapestry/needlepoint and long stitch projects. DMC Soft Cotton is available in 285 colours. DMC Mouline Stranded Cotton has a silken sheen and gives an exquisite finish to any Tapestry/needlepoint project. Because it is a divisible cotton, any number of strands may be used to stitch on the widest variety of mesh sizes. DMC Thread is made of long staple Egyptian cotton and is double mercerised to a brilliant lustre. DMC Mouline Stranded Cotton is available in over 450 solid colours. DMC Color Variations are beautiful “overdyed” threads designed to create subtle variations in colour without having to change threads. Each skein has a blend of soft multi-colours that flow seamlessly into one another along the length of the thread. Color Variations are available in a palette of 36 distinct blends of colours in both 6-strand Cotton Thread and Pearl Cotton Size 5. DMC Light Effects add light and reflective qualities to your design. These 6-strand glistening threads are created to dazzle and is the perfect specialty thread for highlights and decorative sparkles. Available in a diverse assortment of colours to compliment any tapestry/needlepoint, Light Effects come in these distinct colour groups: Precious Metals, Jewels, Antiques, Pearlescent, Fluorescents and Glow-in-the-Dark. Light Effects threads look wonderful stitched by itself on your canvas, or blended with cotton Thread to add subtle sparkle. DMC Satin Thread adds exceptional beauty and sheen to tapestry/needlepoint. These lustrous 6-strand threads glide easily through fabrics and come in a vibrant palette of 60 colours created to inspire. Use Satin Thread to accent areas where you want a notable glossy shine. Thread amounts for a project depend on numerous variables; the kind of stitch you’ll be using and the tension are the two primary ones. A quick way to estimate the amount of thread you will need for a project is to take an 45cm (18” half yard) length of thread and stitch the canvas until the thread is finished. You will then know how many stitches per length of thread you can make. Each skein and spool of DMC threads has a measured amount of meterage on it. By using your calculator you should be able to determine the amount of thread you will need. Scroll Bar Frames helps keep your canvas taut and reduces warping. Scroll Bar Frames consists of 2 wooden roller bars and two flat spacer bars. The spacers hold the scroll bars apart. Each manufactures system is different but generally the bars have a strip of webbing material attached it so that you can sew the top and bottom edges of your canvas on to it. The ends of the scroll bars screw into the spacer bars with screws and nuts that you can adjust to the tension you want by rolling the scroll bars in opposite directions. This style of frame is perfect for working on larger designs because the fabric is scrolled up or down onto the scroll bars as the design is stitched. Select a scroll bar size that is slightly wider than your canvas and spacer bars that are comfortable to work with. Be sure to read and follow the manufactures instructions for the system you select. TIP: To keep the horizontal tension as firm as the vertical tension on your scroll bar frame, lace the side edges of the canvas to the spacer bars. Adjustable Frame Clips are also an option. The adjustable straps wrap around the spacer bars and attach to the canvas edges with gripper clips. Several are usually needed to hold the horizontal span taut. These clips are easy to use and eliminate timely lacing. Stretcher Bars are strips of wood that are dovetailed at the ends where the bars fit together to form an open square or rectangle. Your canvas is then attached to the frame with tacks to hold it in place. These easy to use bars are sold in pairs. Two pairs of bars are needed to make a frame; one pair for the width of your canvas and the other pair for the length. TIP: Use brass tacks to prevent rust marks. Floor and Table Stands are available in a variety of styles and materials. These stands hold the frame in place allowing you to keep both hands free for “two handed” stitching. Stands are adjustable so you can arrange the height and angle of the frame to your liking. Many stands come with scroll frames that can also be detached for portability. Tapestry needles are used in tapestry/needlepoint, because they have blunt tips and elongated eyes. The blunt tips pass smoothly between the fibres in the canvas and the elongated eyes accommodate the thicker threads used in tapestry/needlepoint. The size of the needle you will use depends on the size of the mesh of the canvas. For example, a narrow needle should be used on fine-mesh canvas, while a thicker needle is used on canvases with larger hole sizes. Select a needle that accommodates your thread and will enter the canvas with little or no drag on the thread. Tapestry Needles are sized by number and the bigger the number, the smaller or finer the needle. Refer to the DMC Needle Guide to see which needles are best for the thread being used.